We all know human life is valuable. But when does it begin? “If the unborn is not a human person, no justification for abortion is necessary. However, if the unborn is a human person, no justification for abortion is adequate” . What evidence can we find from science? First we know that the first stage of life is alive. In fact even gametes (reproductive cells from the male and female, sperm and egg respectively) are alive (biologically speaking) even before they unite to form the zygote. In other words, even though gametes carry half the genetic code, they are still biologically alive. After the union of the two gametes, they morph into the zygote, caring a full set of genes, the start of a new person. One at day one of conception, one year old, ten years old, or a hundred years old will have the same DNA code as those first cells in the zygote stage of human life (besides accumulated mutations). In other words, your DNA as a zygote has the same sequence now, only now you have many cells containing that same DNA code. The DNA and cell type is not any animal, plant, bug or bacteria, it is human. This demonstrates a number of items, first life is continuous, a human zygote is alive, made from the union of two living cells. 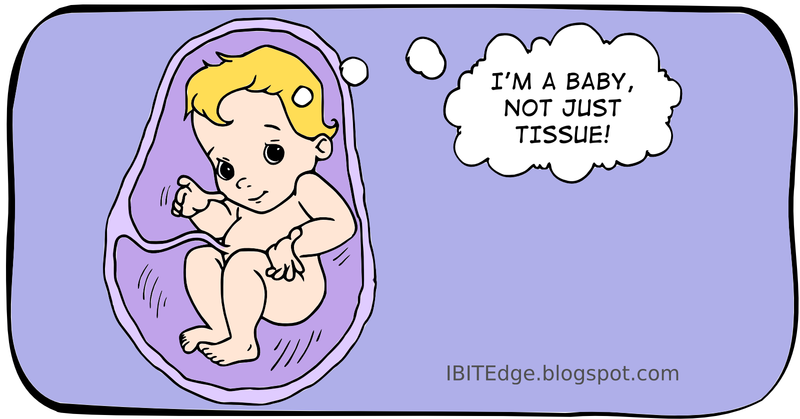 Second, the zygote has a specific DNA finger print, meaning that it is a distinct entity from its mom and dad. Third, the type of DNA and cell type is human. We know human life is intrinsically valuable. This leads us to the conclusion that taking an innocent human life, including a zygote or fetus, is terribly wrong. 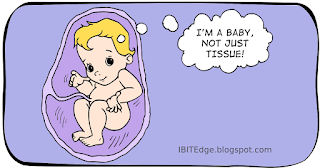 It is human, so it is wrong kill the baby at any stage of development. I'm not sure why you mention gametes being alive, because they're not any more alive than skin cells. So, if I were pro-choice, I might say "We're not concerned if someone skins their knee, so we shouldn't be concerned about abortion." Of course, abortion is a totally different thing. The difference is when those two gametes come together to form a new life, and a life that is a new human being that will continue to develop.